After his inaugural Dreamville Festival went off without a hitch, J. Cole took a moment to chop it up with Rap Radar. 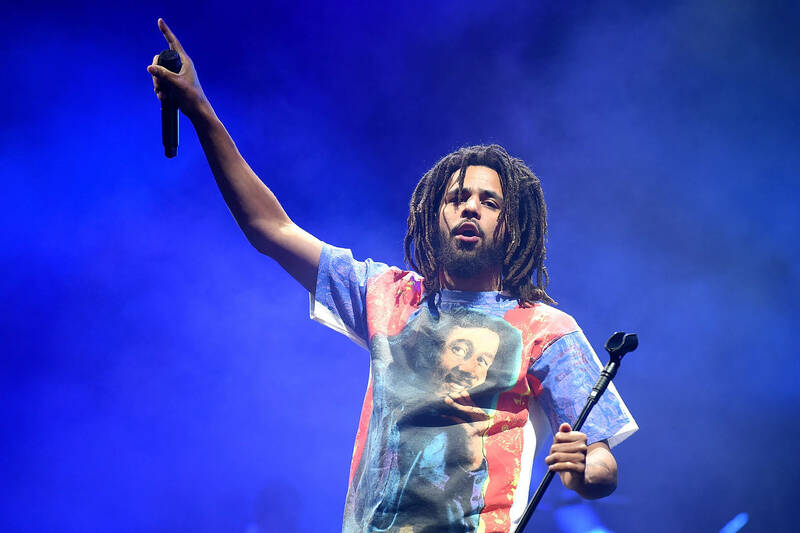 While the conversation is wide-ranging, a few interesting moments arise when Cole opens up about his Dreamville roster. Clearly, the love for his team runs deep. Claiming he knows the majority of their lyrics, Cole explains that he's a fan first and wouldn't seal any deals otherwise. "It's more being a fan than it is business," reveals Cole. "If it's business, I could have signed other people that were more surefire hit record type artists. This is more 'I'm a fan of what you do.' I'm involved in the album process, I'm giving my notes, even if they don't take em'. I'm riding for my beliefs." "Before signing a deal, it's almost like dating," laughs Cole. "Take the most recent, EarthGang and Jid. First we met, I seen them on Bas' show. Years later I was like these dudes is too crazy. And they're ready now. It wasn't like hey, let's do the deal. They came to Raleigh, to the Shelter. There was months we were working together just to see if there was something there. Do ya'll trust me? Do I believe in ya'll, do we really want to do this?" He continues, explaining that Dreamville's movement not about the money, but rather artists helping one another. Naturally, the Dreamers 3 sessions are brought up shortly thereafter, and Cole takes a moment to provide an update on the long-awaited compilation. "Cause of how I've been moving for years, people think I don't fu*k with nobody," admits Cole. "I felt it would be the icebreaker to the world. Dreamville is a camp that fu*k with people, from Young Thug, to Smino, to Buddy." For much more from a notably excited Cole, be sure to check out the full interview below, courtesy of TIDAL.